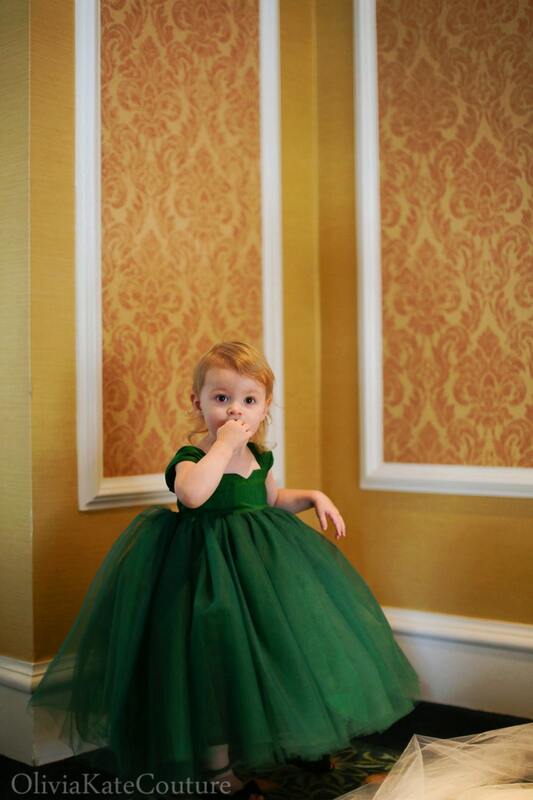 Green Flower Girl Dress~ Wedding Dress ~ Formal Dress ~ Birthday Dress ~ Holiday Dress ~ Damask ~ customize to match your wedding color palette, birthday party or special event. Contact us with your colors. MORE SIZES AVAILABLE in our store! * This dress is EXQUISITE. * Our Destiny dress was created with beautiful silk & yards of light as air tulle. * The skirt on this dress is VERY full & is not shown with a petti skirt of any kind. * Bodice is 100% silk. * Skirt is a satin or taffeta blend. 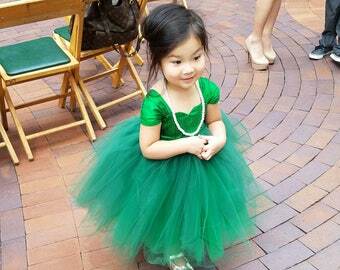 ** The tulle does not touch her skin at all~ which means she won't be itchy. PLEASE INCLUDE THE DATE OF YOUR WEDDING OR EVENT. Such a cute dress! Well made and good quality. The seller worked with me to get a rush order in and she was super helpful and flexible. Even included a little gift. I know my niece is going to look like a little queen! Thanks!